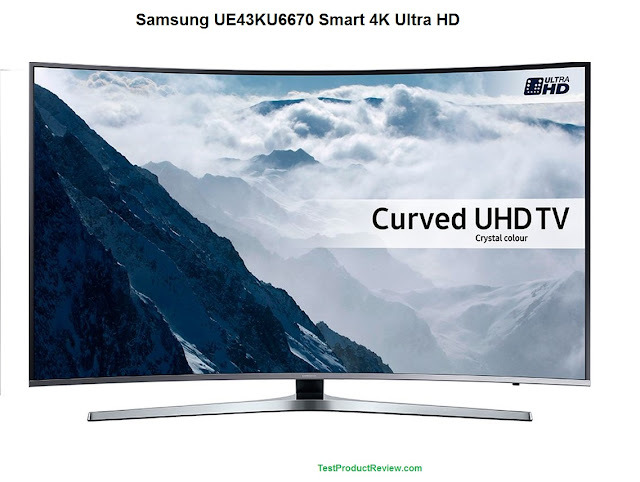 Samsung’s UE43KU6670 is a 42.5’’ screen TV from the KU6670 range (the curved version of the popular KU6470 series). As a rule of thumb, the curved-screen option on average costs $200 more than the respective flat-screen option - something to consider when looking for a curved-screen TV. Price aside, in general, the curvature of the screen does add up to the viewing experience and is suitable for home theater or gaming. You can literally immerse yourself in the picture, especially with the 4KHD quality. The High Dynamic Range delivers more vivid colours, deeper blacks and overall sharper and better quality picture compared to standard HD TVs. The curved screen features auto depth enhancer which adds a layer of contrast to provide a more detailed picture with more depth so you can immerse in the scene. The curvature practically draws you in regardless of whether you’re watching a movie or gaming. Speaking of gaming, you can use Sony’s PlayStation Now which is compatible with the Samsung KU6670 series. You can play games using this video game streaming service without owning a console. You will need, however, a PlayStation 4 controller and a subscription for PlayStation Now. You can also enjoy movie streaming services such as Amazon Instant Video and Netflix in 4KHD. You can also use catch up TV apps and a custom Samsung 43K6670 internet browser. The TV has a quad core processor so you can get to your content quickly. How to use your YouTube to mp3 converter?